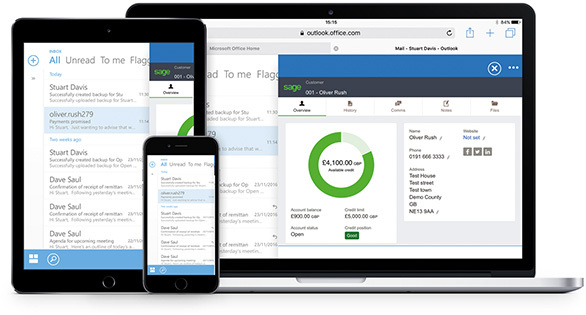 Sage 50Cloud is the market-leading accounts software package. Perfect for start-ups to small and medium sized businesses who need complete control and confidence in their finances. Trusted by over 400,00 businesses, the UK’s favourite accounting software just got better. Sage 50 Accounts is now Sage 50Cloud. As a result, it will change the way you do business forever. Run your business more efficiently. With a time-saving in-depth solution to manage your accounting, invoicing, cash-flow, inventory, taxes, and so much more. 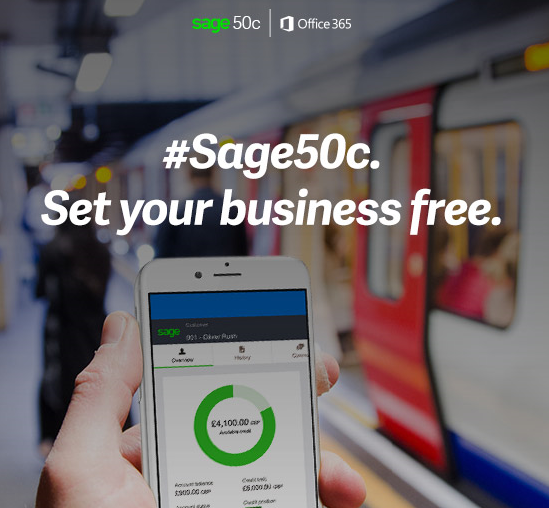 Sage 50Cloud seamlessly combines the power and productivity of a trusted desktop solution. With secure online access and Microsoft Office 365 integration. More Freedom to work how, where and when you want. More Control over your business to make smarter, faster decisions. More Productivity so you can get more done in less time. You no longer need to change between applications. Have the information you need at your fingertips. If you want to work in real time with your accountant or simply access your data, you can now work anywhere, anytime especially with Sage 50Cloud. Know that your business is covered, whatever happens, with automatic backups to the cloud. You’ll be able to access your data from anywhere with an internet connection. Peace of mind, without any hardware for you to maintain. 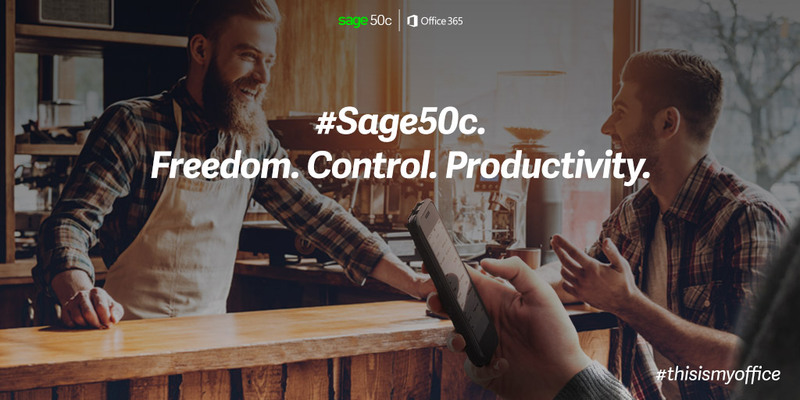 With Sage 50Cloud, you can enjoy the power of a familiar desktop software, married with the flexibility of cloud and mobile. Sage 50Cloud can be integrated with a number of other solutions. From Sage, our partners and our own additions, streamlining your business processes. These include Sage 50 Manufacturing, supplied and supported by our own team, allows manufacturing companies to control the whole operation. Spindle Professional document distribution and Credit Hound help you reduce workloads and streamline your credit control and document management. Microsoft Office 365 provides the de facto suit of productivity software products for businesses. From Excel spreadsheets and Word documents to Instant Messaging. With Office 365, you have access to all the tool you need, whether you’re in your office or on the go. You can work anywhere, any time, on any device. Communicate better with clients and your team, co-ordinate better thanks to shared calendars and work seamlessly betweeb 50Cloud and the tools you already know and use. Sage has partnered with GoCardless, the UK’s leading Direct Debit provider. Providing a much simpler way to get paid on time, every time, so can you can automate payment collection and reconciliation to improve cash flow and reduce admin. GoCardless integration not only makes it easier for your customers do business with you, it also allows them to pay you faster with both regular and one-off payments via Direct Debit.